Our third dog looking for a home in our Christmas rehoming campaign with Dogs Trust is loveable Polly. We are hoping to find the perfect home for completely loveable collie cross Polly, the third dog in our Christmas campaign with Dogs Trust. 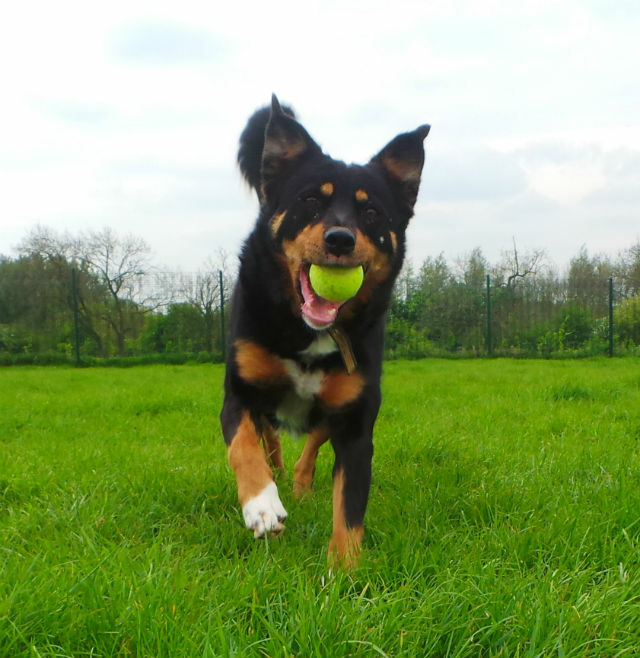 Polly is five years old and is an active, lively girl who would love to find a wonderful new family to play with. Dogs Trist Loughborough says, ‘Polly has earned a legion of fans since her time at Dogs Trust Loughborough. ‘She loves to learn new things and is absolutely ball mad and would love to find an active family that can indulge her love of keeping busy. If you think Polly is the playful pup for you, please contact Dogs Trust Loughborough on 01509 880070 or pay her a visit at Hill Farm, Wide Lane, Wymeswold, Loughborough, LE12 6SE. Patrick is the first dog in our Twelve Dogs of Christmas series with the Dogs Trust. Bella is the second dog in our Twelve Dogs of Christmas series with the Dogs Trust.